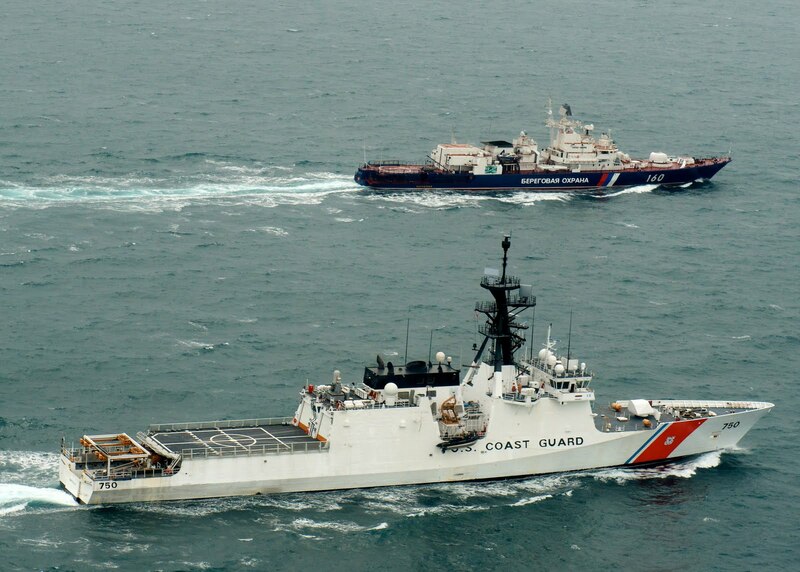 Bertholf and Vorovsky (Nerey class) in an exercise. 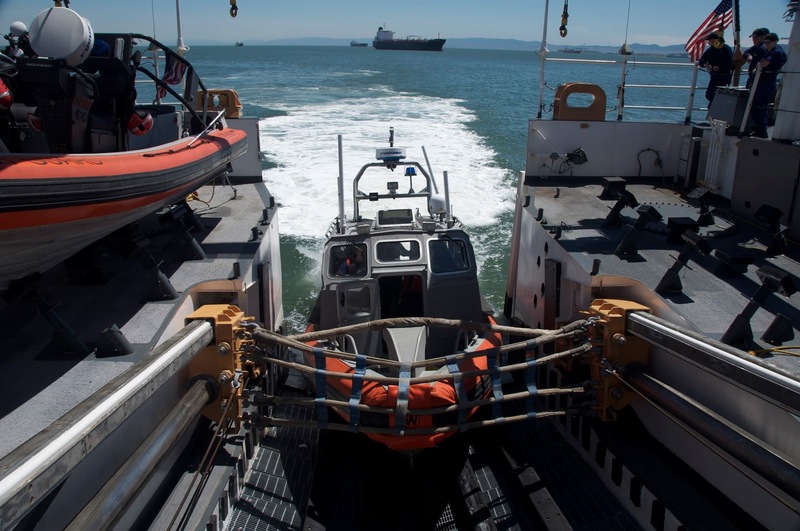 The cutter includes an aft launch and recovery area for two rigid hull inflatable boats (maximum three) and a flight deck to accommodate a range of manned and unmanned rotary wing aircraft in two hangars. 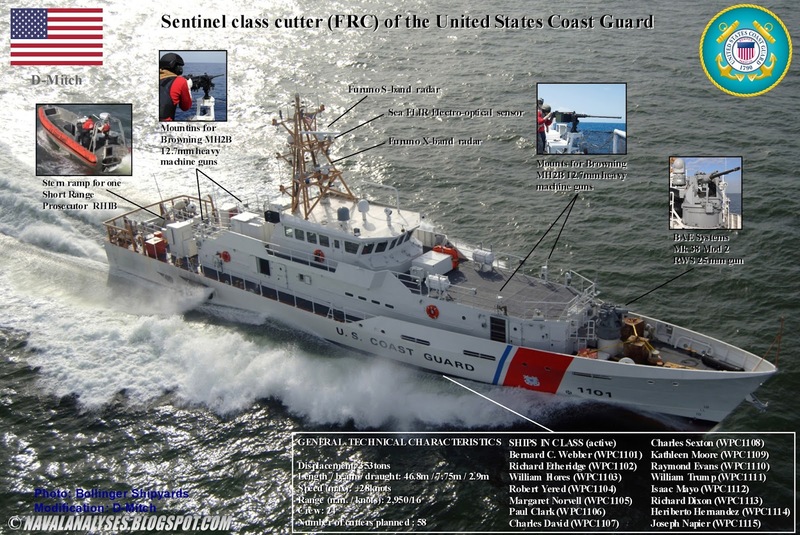 It is the largest, most heavily armed and most technologically advanced class of cutter in the U.S. Coast Guard, with robust capabilities for maritime homeland security, law enforcement, marine safety, environmental protection and national defense missions. 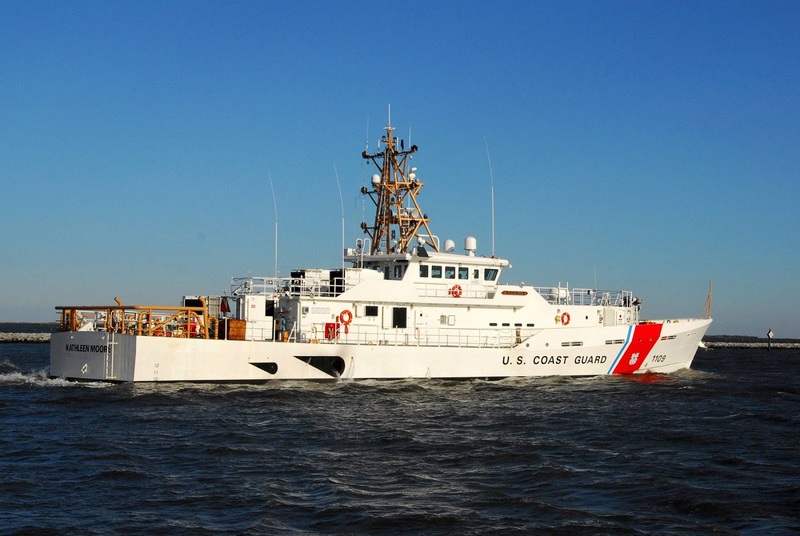 USCGC Bertholf is the lead ship of the National Security Cutter design and she was commissioned on August 4, 2000. 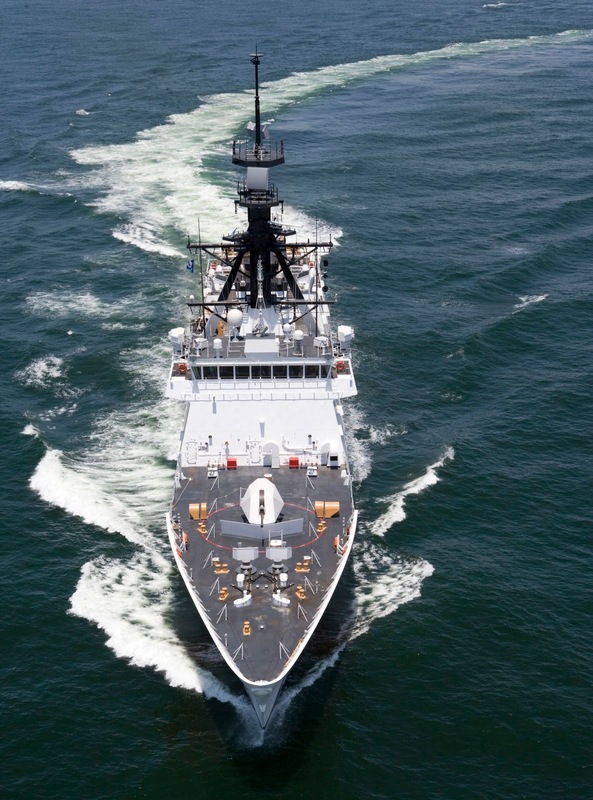 Bertholf was the first to fire the Bofors 57 mm gun aboard a U.S. vessel on the 11th of February 2008. 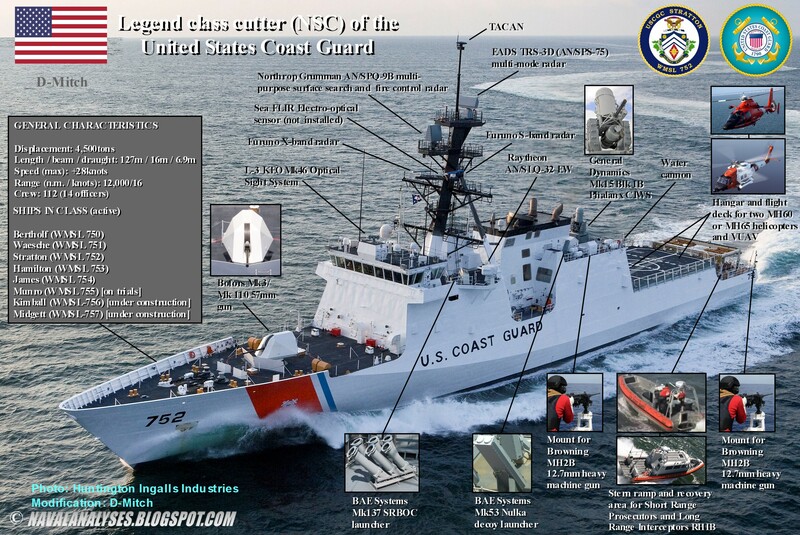 Legend class cutter of the United States Coast Guard. High resolution image here. Sentinel class cutter of the U.S.C.G. Sentinel class cutter of the United States Coast Guard. High resolution image here. 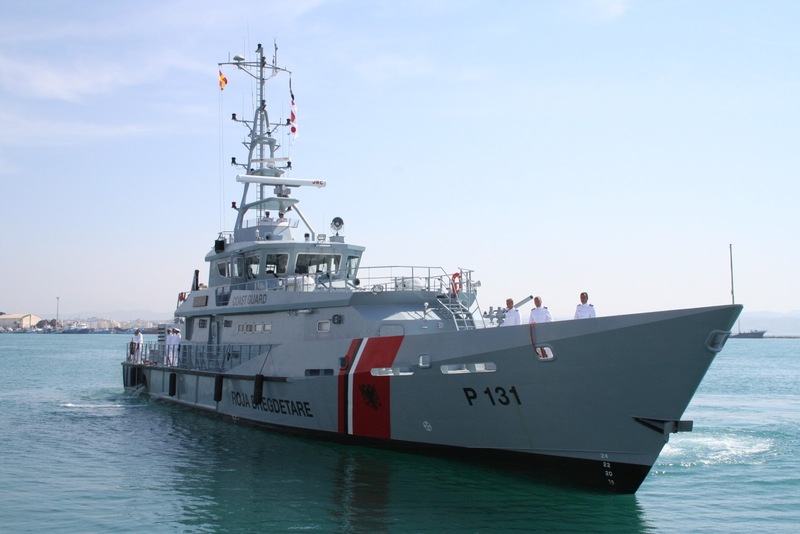 The Guaicamacuto class patrol vessels (designation: Avante 1400) is a class of offshore patrol vessels built and designed by the Spanish Navantia in Cadiz. 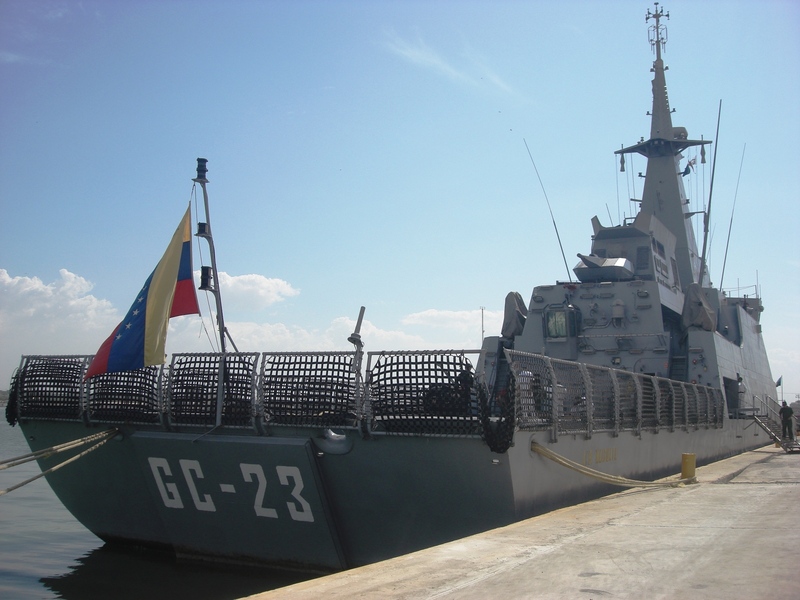 The design is also known as BVL (Spanish: Buque de Vigilancia de Litoral) in Venezuelan Navy service for patrol duty in economic exclusive zone. The contract for the BVL and POVZEE (Guaiquerí class) was signed together on the November 25, 2005. 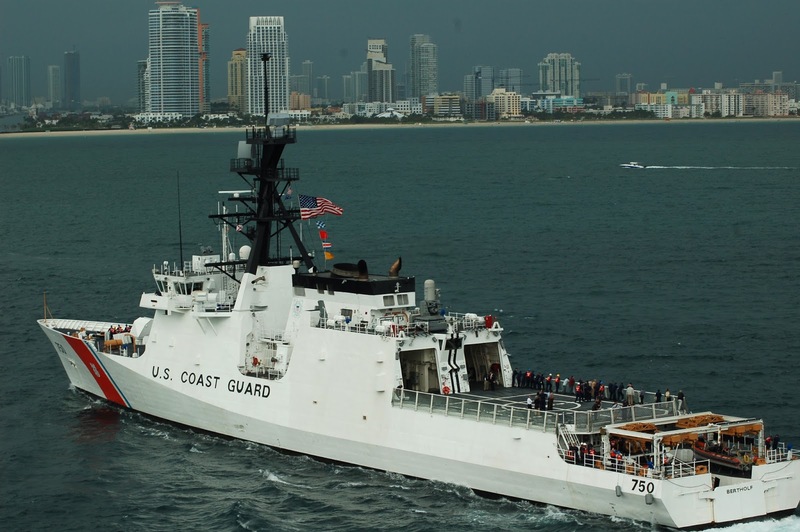 The last vessel GC-24 Tamanaco, would be constructed locally at the Venezuelan National Dams and Shipyards (DIANCA) in Puerto Cabello, Venezuela. 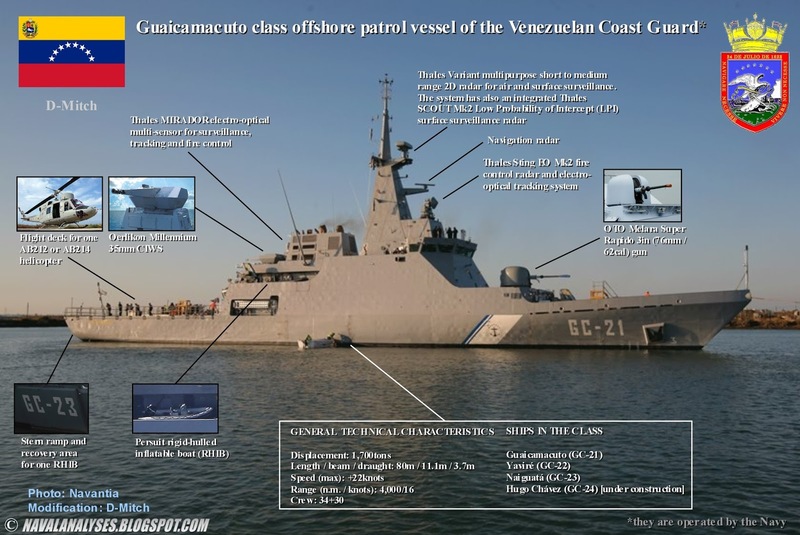 Finally, the last ship changed her name to Comandante Eterno Hugo Chávez and she will enter service in 2016. Part of the ships' equipment is the high-tech Millennium CIWS, a 35mm gun that can engage air targets as well as surface targets with AHEAD ammunition; its maximum rate of fire is 1000 rounds per minute! The system except these Venezuelans patrol vessels, equips the Danish Absalon-class and Iver Huitfeldt-class frigates. Guaicamacuto class offshore patrol vessel of the Venezuelan Coast Guard. High resolution image here. 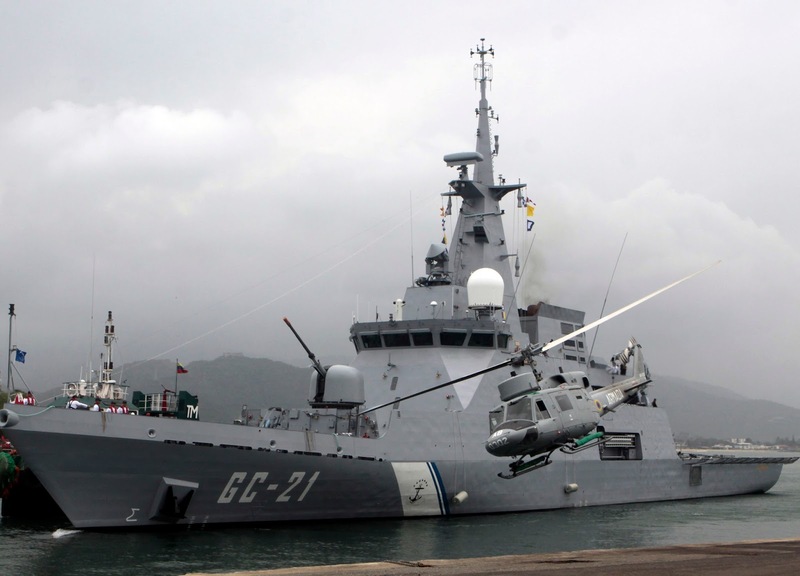 The Iliria is the first of four patrols vessel of the Albanian Navy Brigade, built by the Damen Group. 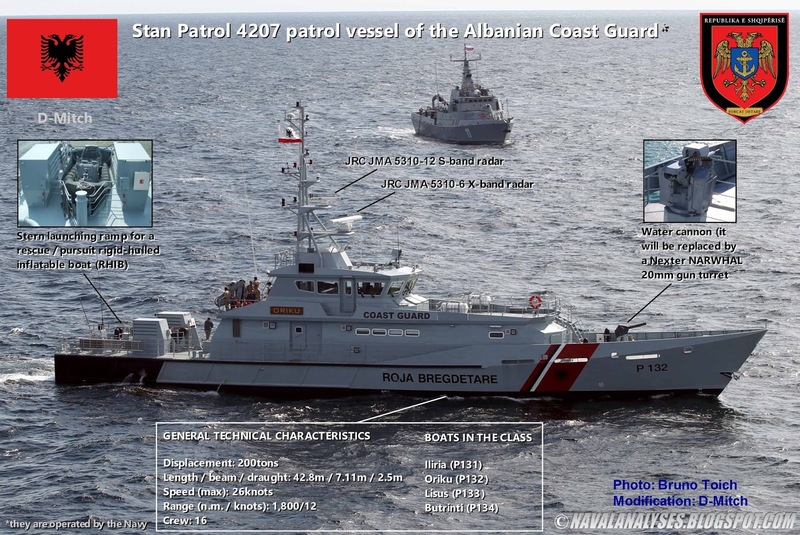 She was the first Damen Stan 4207 patrol vessel, a series of very successful patrol boats worldwide, to be built for Albania, and was commissioned in 2008. She was built in the Netherlands, while the three remaining vessels were built in Albania. 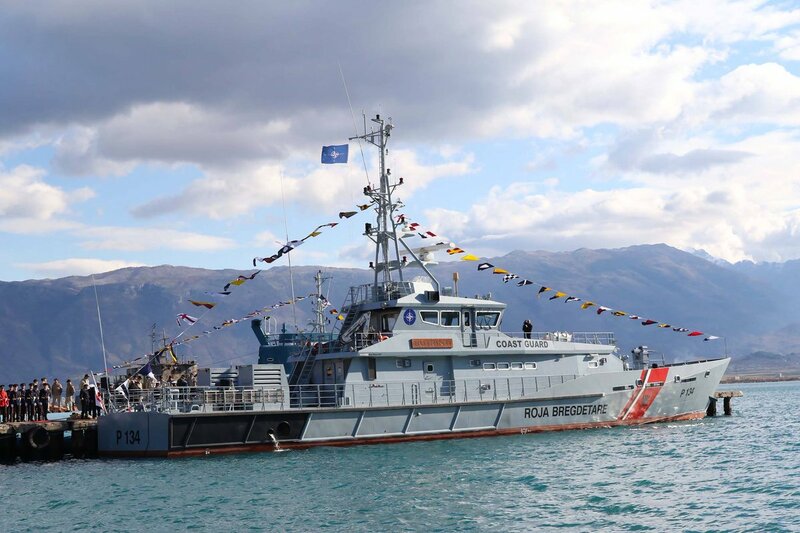 The first vessel, Oriku, locally built in Albania out of a DTC (Damen Technical Cooperation) material package and under the local supervision of Damen staff, was delivered on February 17, 2012 to the Albanian Coast Guard. The vessels of the type carry till today no armament in Albanian service, however just recently Nexter signed a contract with the Albanian Navy to supply 20mm gun NARWHAL RWS that will equip the all the boats. Stan Patrol 4207 patrol vessel of the Albanian Coast Guard. High resolution image here. Nice post, but actually the USCG's Hamilton class are the most heavily armed class of cutters, not the Legend Class. But still a great post! With a 76mm gun, 2x25mm guns and a Phalanx, the Hamiltons are indeed the most heavily armed cutters of USCG (still) today. Thank you for your comment Carl!